Its founder, Eric Matazaud, during a trip to the Amazon, discovered the guaraná and emphasizes the importance in the use of the totum of the plants that the indigenous tribes use for the care of the health, far from being in mere extracts, by his extraordinary ones More complete and effective benefits. To say Serpens, rather than a product of supplementation, is to talk about medicinal plants of the Amazon. Everything that we still do not know and can surprise us for the benefit of our health, in a natural way, sustainable, and respecting the environment. Serpens collaborates in the development of the indigenous societies of the Brazilian Amazon. Through a fair trade, we provide tablets that are a jewel for our life, made with 100% pure organic and wild harvest plants. Always respecting the elaboration and craftsmanship and ancestral behavior of their native societies. 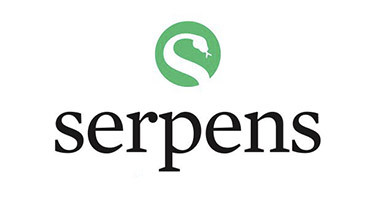 Serpens products have organic EU certification. Its essence and formula is gestated in the origin, in its people and their crafts, in their fertile lands, guaranteeing a total quality of the product. They are authentic natural fruits harvested by their people, working their land following their indigenous techniques, transmitted over generations. According to Eric, it is a product focused on reality. "No one can overcome the vital force of nature." The result: A product full of active principles based on millennial indications. When you try Serpens, you will not want to go back to another supplement. Being totally natural, it is a food in itself, with its multiple and effective properties, benefits and benefits. If it were not for the best, I would not be at BIOSPLENDOR. 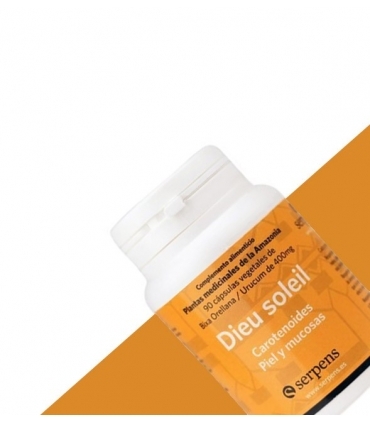 Protect your skin for the summer or loll it young all year with Dieu Soleil, 100% betacarotenes of natural origin and ecological.